I think what most delights is the insistently human scale, the oldtime Roman clarity of terms. But there is also that timeless intelligence of love’s musing reflection, in whatever language impinges, or makes possible such ultimately human speech. In short, Laughlin a gentleman and a scholar–and a poet of happily common places. James Laughlin (1914-97) was a poet of distinction as well as the founding publisher of New Directions. 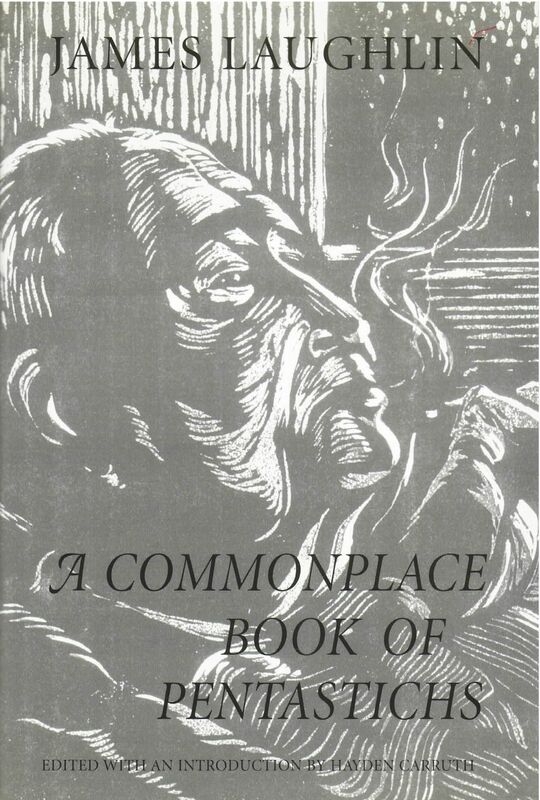 A Commonplace Book of Pentastichs, the last book of his own that he helped to prepare, is a compilation of 249 poems composed in a five-line stanza form first introduced in The Secret Room (1997). A note to “Thirty-nine Pentastichs” in that earlier volume explains: “a ’pentastich’ refers simply to a poem of five lines, without regard to metrics. The word is Greek derived, from pentastichos, though few survive from ancient times… The present selection is of recent short-line compositions in natural voice cadence, many of them marginal jottings and paraphrases of commonplace book notations.” Musing on the full collection, Hayden Carruth writes in his introduction: “For the reader it is a survey of literature that will never be found in the classroom––praise whatever gods may be––but indubitably will be found in loving and longlasting proximity on many a bedside table.” Here, then, are armchair marginalia and aperçus to be savored at random.